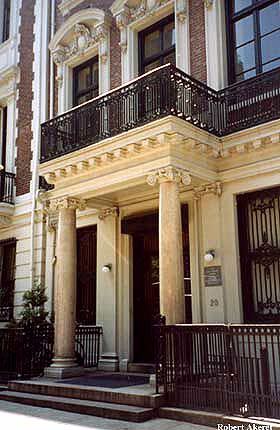 The William Alanson Institute is located at 20 West 74th Street in an elegant townhouse in the heart of the Upper West Side of Manhattan. The townhouse is a few blocks from the 1, 2, 3, B and C subway stops. It is also accessible by the 7, 10, 11 or 72 New York City buses. LaGuardia is the closest airport, while visitors are also served by either John F. Kennedy International Airport or Newark Liberty Airport. The website www.hopstop.com provides bus and subway routes as well as estimated taxi fares and travel times within the New York City area. The following is a partial listing of hotels in proximity to the White Institute. Visitors are also encouraged to check travel service websites for other options.